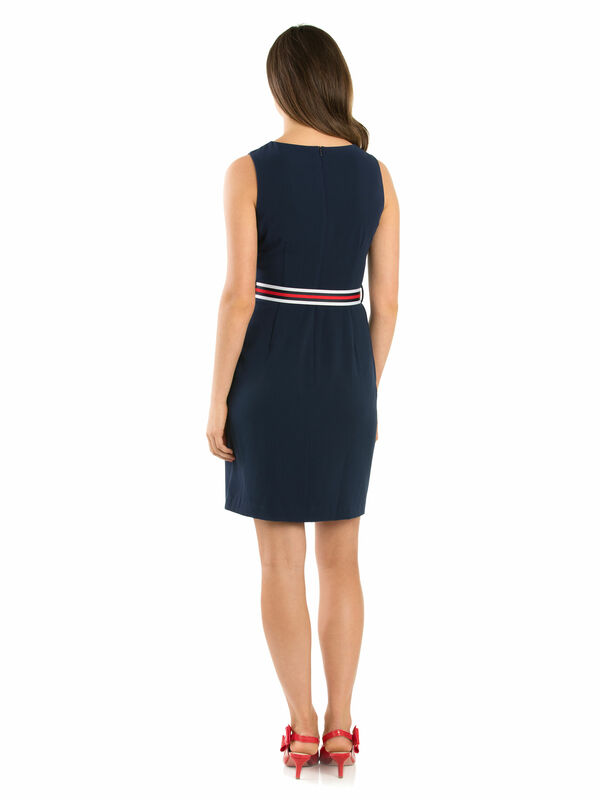 Eldora Dress https://www.review-australia.com/global/eldora-dress-navy/RE19DR383.RENVY001.html Creating a clean-cut silhouette which is flattering for everyone, this Eldora Dress is offset with a thick red, white and blue belt for a fitted finish. This elegant dress has a high neck and is cut to the knee, whilst the zip at the back is completely hidden for a seamless look. Worn with Bonjour Bag and Brenda Heels. 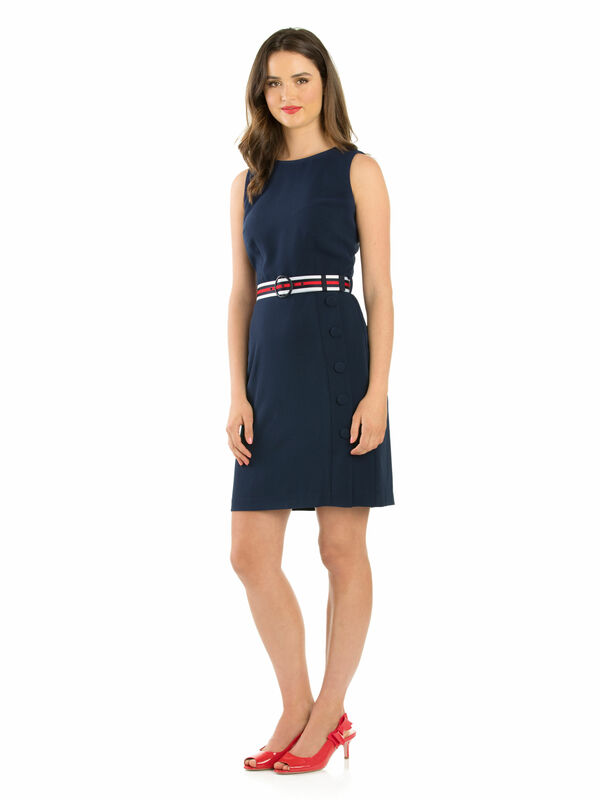 Creating a clean-cut silhouette which is flattering for everyone, this Eldora Dress is offset with a thick red, white and blue belt for a fitted finish. This elegant dress has a high neck and is cut to the knee, whilst the zip at the back is completely hidden for a seamless look.